Which direction do I take? This is a question we all ask ourselves several times throughout our lives. What do I do after high school? What major should I choose in college? Which path do I take in my career? Sometimes the direction is clear, other times not so clear. Sometimes we can overthink ourselves into a tizzy, causing us to make no decision at all. Seeking to discover God’s direction for our lives is a journey we all struggle with. Here’s the tricky part: regardless of the situation, God often (always?) requires us to step out in faith when making major “crossroads” decisions. If we wait until we have an absolute, 100% positively guarantee of success, we will never make a decision. I am reminded of when Jesus was teaching a crowd in John chapter 6. When the teaching got difficult to understand and/or agree with, vs. 66 says, “From this time many of his disciples turned back and no longer followed him.” (Brother David quoted this verse in a sermon not too long ago). They came to a crossroads in their faith, and decided that Jesus’ way was too difficult. “To whom shall we go?” What a great response! When presented with a crossroads situation, what other direction is there but to follow Jesus? I know the path is not always clearly marked with signposts and arrows, but I believe God will give us clear direction when we truly seek His direction. It is the same with churches. Where is God leading us? Which ministries do we start or end? If you are like me you want some guarantees before making important decisions. There is wisdom in looking at every situation carefully by spending time in prayer, searching God’s word for direction, seeking and counsel from godly leaders. Sooner or later, a decision needs to be made. 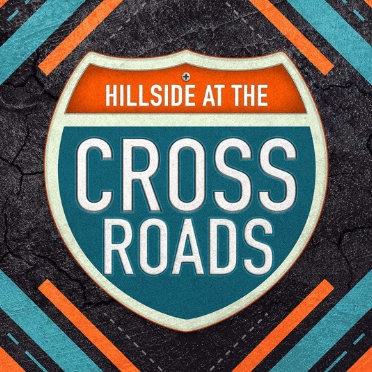 I believe Hillside Church of God is at a crossroads right now. We have a lot of good things happening in our church, yet we have a lot of needs as well. Decisions for the future need to be made, and we need to unite our hearts and minds together as we seek the Lord’s guidance. Let me challenge you with these questions: Which ministry has God put on your heart to either start or get involved in? Who are the people God has put on your heart to share your faith with and invite them to church? What needs in your community to you think HCOG can make a difference in? I was told by a person much wiser than me that if you see a need that you can fill, then that is God’s calling. Well, we have a lot of needs — youth ministry, children’s ministry, sound room ministry, social media ministry, young adult/families outreach, community outreach, etc. — which ones can you help fill? Make a decision!